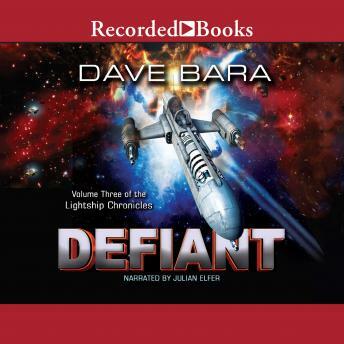 The final book in the action-packed, military science fiction Lightship Chronicles series. Peter Cochrane and his wife, Karina, have been married less than a year. And although things have been quiet in relation to the old Empire during that time, they're about to get a lot hotter. They find themselves on a diplomatic mission to Korivar, an old ally of Pendax, a new member of the Union. But during their mission, the government of Korivar attacks Peter's new command, Defiant, and tries to assassinate him and his wife.